Panda and Penguin love their old sofa- but when the springs poke through and the cover tears, they realise it is time to go shopping! 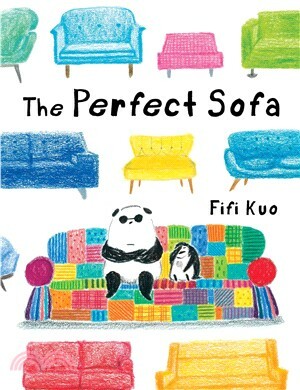 They look at all sorts of sofas- too big, too small, too hard, too soft, and even too "arty"! Of course, they eventually end up with their "perfect" sofa. A lovely story with an unexpected ending, about how the grass isn't always greener and sometimes you can make do with what you have.